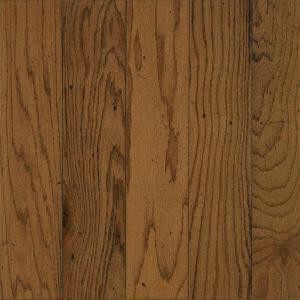 Use Bruce Ponderosa Oak 3/8 in. Thick x 5 in. Width x Random Length Click Hardwood Flooring for indoor residential applications. This engineered 5-ply engineered wood board is made from oak and features 3/8 in. thick x 5 in. width x random length planks. This hardwood flooring features a pre-finished Distressed Oak look with a Duraluster Plus finish for an attractive appearance.